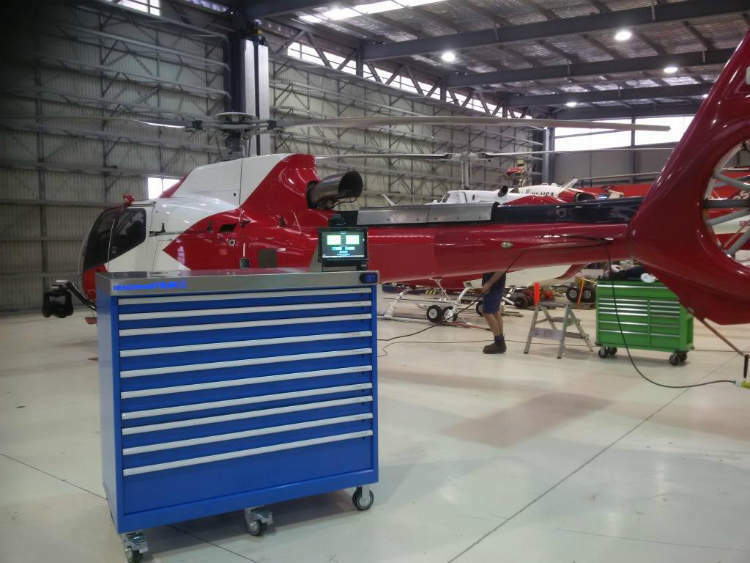 Henchman supplies a comprehensive range of specialised tools, equipment and automated electronic tool control systems suited to the aircraft industry. 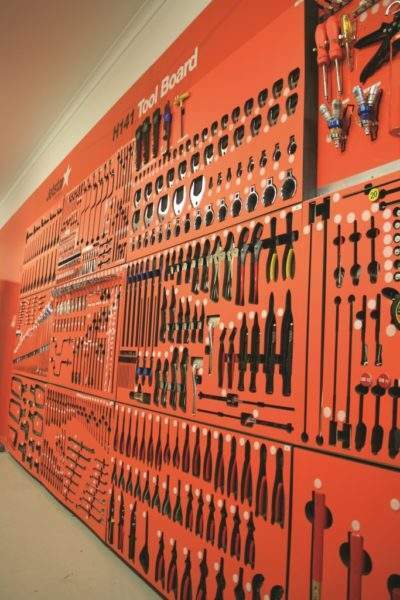 The range covers mechanical hand tools (according to Aerospace Standards), structural tooling, avionics tooling and damage inspection equipment. 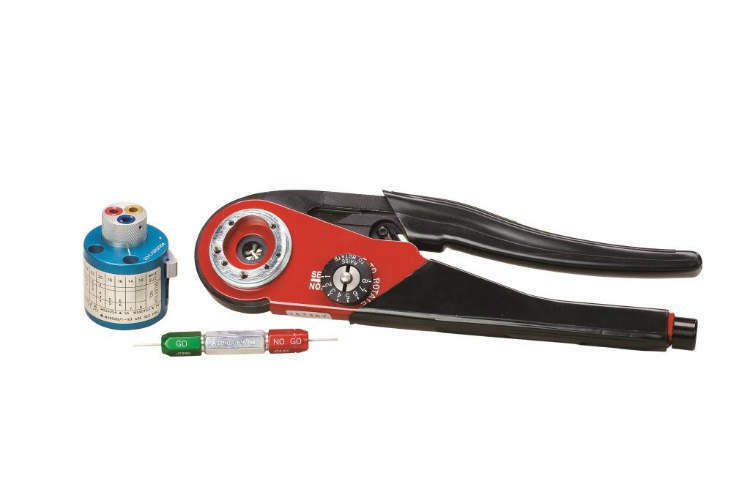 Recently Henchman has launched its own proprietary Automated Electronic Tool Control System, strengthening the company’s capacity to provide complete tool control solutions for FOD prevention. Henchman’s initially focused on tool-kitting and foreign object damage (FOD) prevention, originally providing shadow tool-boards with tags and more recently cabinets with visual tool control. With the challenges of meeting the requirements of Part 145, Henchman has been in a development phase over the last two years, working closely with customers in the aviation industry to fully understand their specific needs. From this, Henchman has launched its own proprietary automated tool control system (patent pending), to provide accountability and simpler compliance with regulation. Henchman’s in-house capabilities include the production of computer numerical control (CNC) cut foam, laser marked tools, customised toolkits / fly-away kits with visual tool control, automated tool control cabinets and management of tool cribs and portable kits. 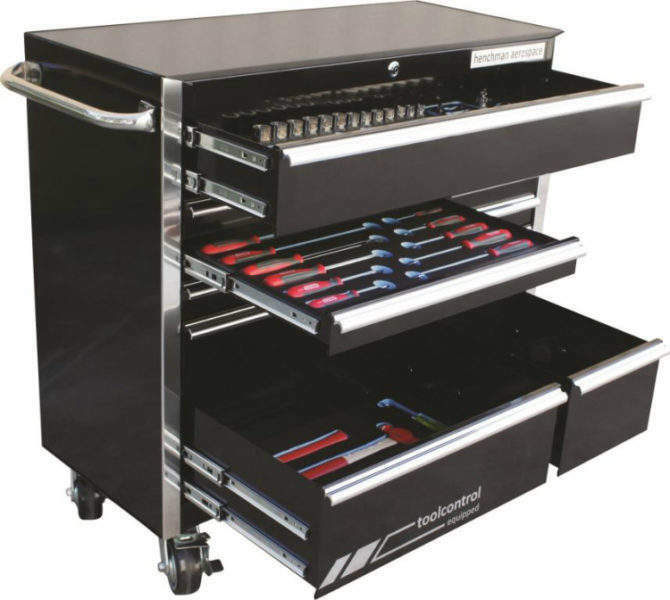 The Henchman Kabtrak automated cabinet is interactive and user-friendly fitted with a ruggedised tablet with a touch-screen. 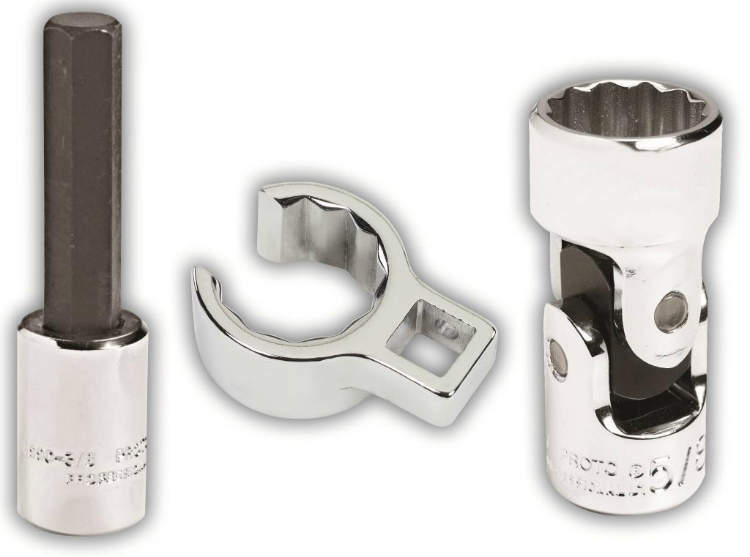 The whole system is entirely designed and produced by Henchman, giving the company absolute flexibility and control to meet customer’s individual requirements. 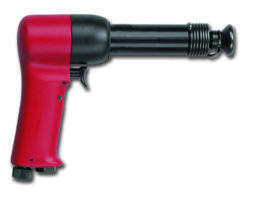 Tools need no modification to be used in the system. 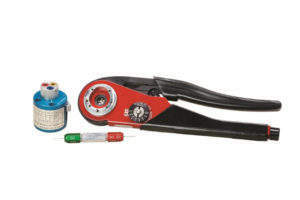 There is no brand restriction on tool control. 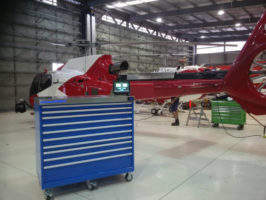 A cloud-based dashboard provides quick viewing of the tools against tail numbers or works orders. 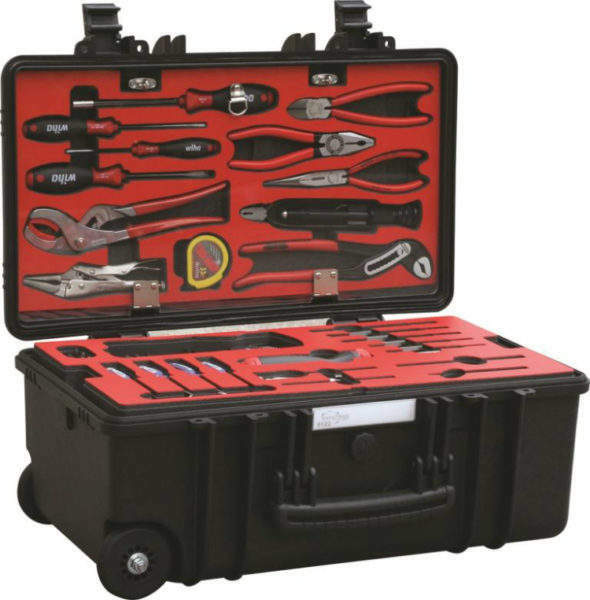 The Henchman CribTrak system issues and receives tools in and out of a tool crib. It is integrated within the same cloud-based system, providing central viewing of tools issued against tail numbers or works orders. The unique PortaTrak system easily manages any portable kits accurately monitoring whether a kit is complete by pass or fail. Ideal for any kit including technicians toolkits, Hilok kits, Oxy kits, and ground support equipment (GSE) tool sets that are kitted up in CNC cut foam tool control. It is the simplest and most reliable method of control. Again, a toolkit is issued to a user against a tail number and can be centrally viewed on the cloud. 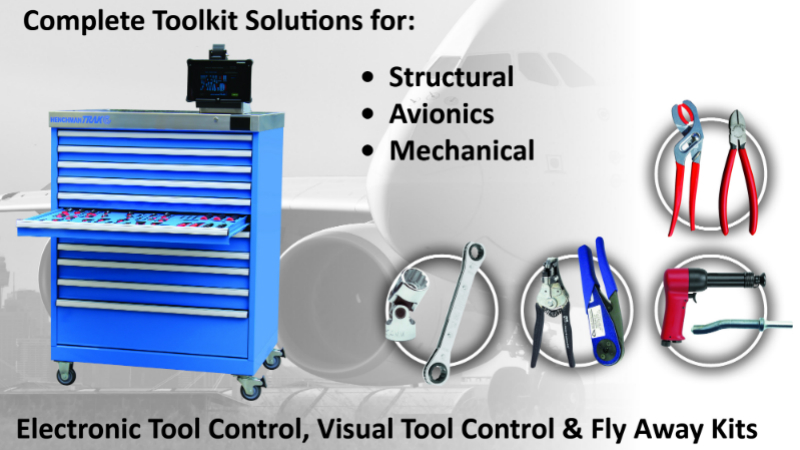 After focusing on tool kits for the aircraft industry for more than 17 years and now with the removal of personal tools, Henchman has been asked to assist a number of airlines in providing suitable solutions for both base maintenance and line maintenance sections worldwide. Henchman can also assist customers in producing customised kits. 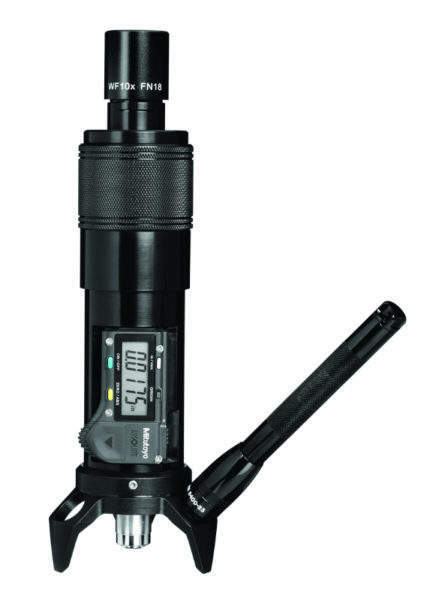 The company offers alternatives to DMC toolkits, kiting with Astro tooling made according to the same Mil-Spec standards and numbering, often providing significant savings. Henchman is about to release a new kit for damage assessment which was developed by an engineer at a major airline, which has received praise from both Airbus and Boeing. Other defence type toolkits have been developed matching NSN codes. 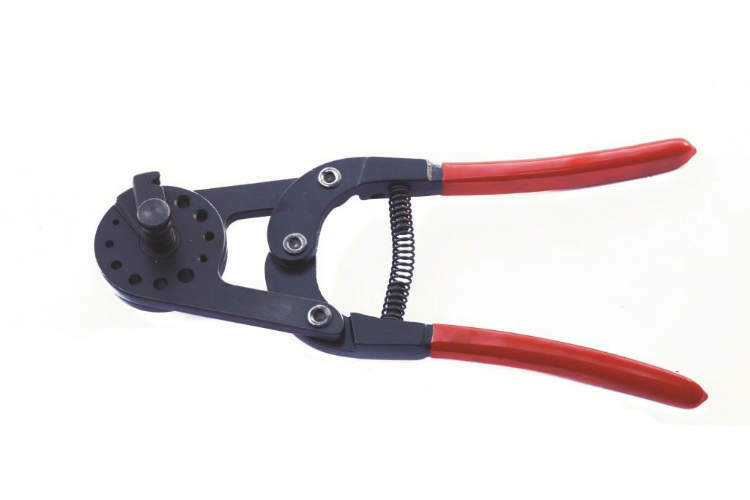 Henchman offer tethered tools in the Proto SkyHook™, which prevents tools being dropped from height (for example scissors lifts and cranes) that can potentially hurt staff or cause damage to aircraft or other equipment. Henchman also covers a wide range of fully insulated tools, an emerging requirement in the aircraft industry. Henchman has its headquarters in Australia with an office in New Zealand and Singapore. 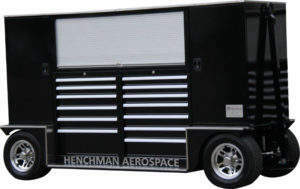 Henchman operates globally with some of the largest airlines, MRO’s and OEM’s on a daily basis around the world. The company’s salesmen make regular international trips to clients and there are plans to set up more offices globally.